Accuphase E 205 for sale. 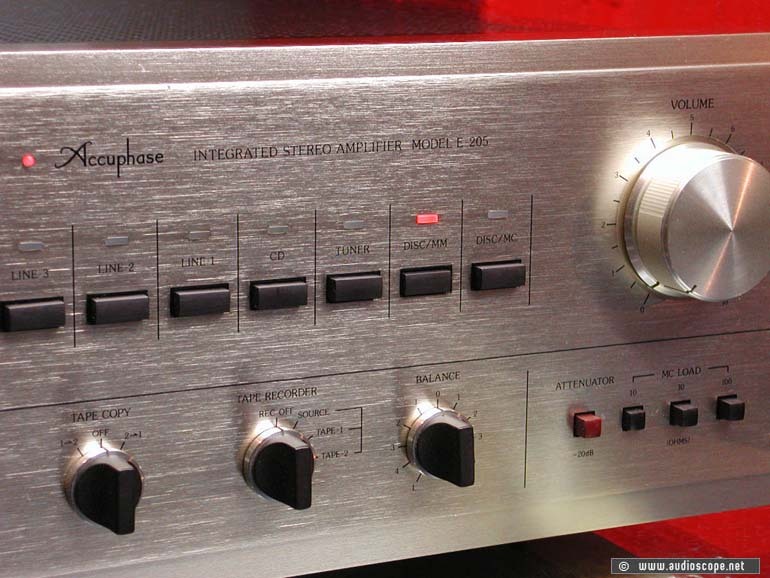 This amplifier is one of Accuphase´ "small" models. Maybe small isn´t the right word if you compare it to other amps. It has enormous power ressources and the sound is glass clear! 7 high level inputs and 2 phono inputs (MM & MC) are more than most people ever need. The frequency of the tone control can be selected. Very nice are the speaker terminals which are compatible to almost every cable. The optical condition is excellent. There are 2 little nicks on the front plate and 3 little scratches on top. The unit is in original condition and comes from its first owner. The manual is included. 9 out of 10.